There are three main types of blood cancers. Leukemia is a cancer found in your blood and bone marrow, lymphoma is a blood cancer that affects the lymphatic system and myeloma is a blood cancer that specifically targets plasma cells. Each year, these types of cancer account for more than 10% of all new cancer diagnoses. 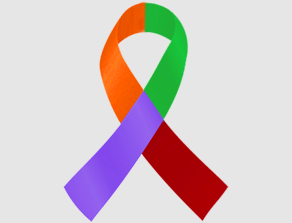 An estimated 172,910 new cases of leukemia, lymphoma and myeloma will be diagnosed in the U.S. in 2017, with more than 58,300 deaths expected to result from the diagnosis. Every three minutes, one person in the U.S. is diagnosed with a blood cancer. Leukemias are the most common cancers in children and account for about 30% of all childhood cancers. More than 1.2 million people in the U.S. are either living with or in remission today from a blood cancer. In addition to specific projects listed below, genomics research is helping us attack blood cancers – and all types of cancer. NFCR has distinguished itself from other organizations by emphasizing long-term, transformative research and working to move people toward cancer genomics. Leukemia is a great success story for cancer research — one in which NFCR-funded scientist Dr. Curt Civin played an important role. His early work on bone marrow stem cell transplantation was partially responsible for the dramatic increase of the five-year survival for all types of leukemia over the past 20 years. Dr. Civin discovered CD34, the first – and still best – marker of hematopoietic (blood-forming) stem cells ever found. His subsequent isolation of CD34+ stem cells opened entirely new approaches to leukemia treatment. The CD34+ transplantation technology, created by a team of scientists in Dr. Civin’s laboratory, has been widely applied, and thousands of patients’ lives have been saved because of this approach to treating cancer. And now, for patients still suffering from cancer and waiting for a cure, Dr. Civin’s current research may once again hold the key. Acute myeloid leukemia (AML) is the deadliest form of leukemia. Dr. Civin recently discovered that artemisinins – a class of drugs with low toxicity used to successfully treat malaria – are also effective in killing AML cancer cells. Through research, he identified ART-838, a specific artemisinin compound, that shows remarkable preliminary effectiveness against leukemia cells and works well in combination with established anti-leukemia drugs. In addition, the compound can be given orally and stays active in the bloodstream for a long time. Further, it doesn’t appear to harm normal bone marrow cells, so it may prove to be an effective new treatment for AML patients.